The singer and actor Kim Won Joon was seen in destruction of image. 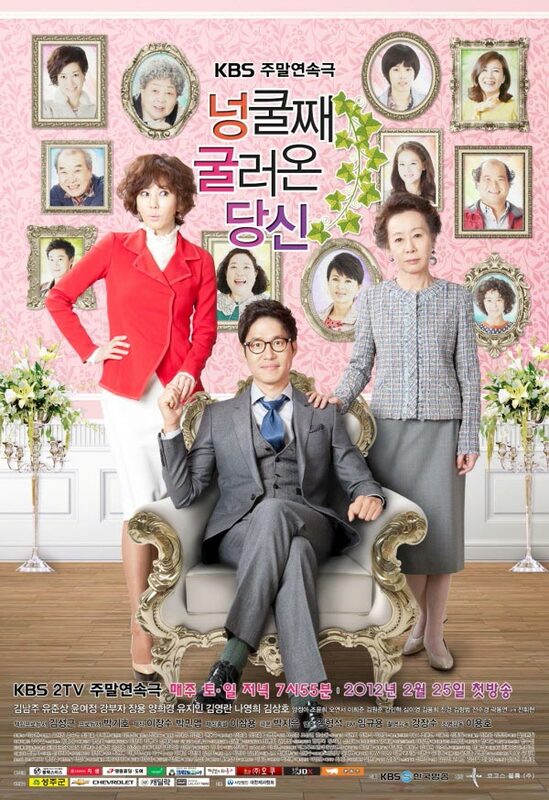 In the episode 13 of My Husband Got a Family broadcast on April 7th, 2012, Yoon Bin (played by Kim Won Joon) opens the refrigerator to look for food as he’s hungry, but discovers that there is nothing else apart from kimchi. Although he used to be a popular singer, but now Yoon Bin is so poor that he is happy for been able to pull out a 1000 won from his pocket. He then went to the supermarket to buy a bowl of instant noodle, but because the money with him is still lack of 500 won, he can’t buy the big size item, and can only buy the small size instant noodle costs 900 won. During this period, Kim Won Joon portrayed the poverty stricken former superstar Yoon Bin who completely destroyed own image on the day. He tied the forehead hair into a apple head, the humiliation scene of hungry yet wanting to eat instant noodle provoked audience to laughter. He met the daughter of a landlord family Bang Il Sook (played by Yang Jung Ah), and immediately ran away. After the instant noodle fall out from the broken bag, he showed a bitter and astringent expression, making the audience falls into laughter.